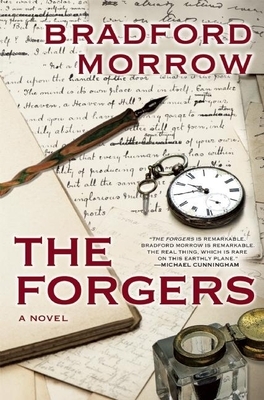 From critically acclaimed novelist Bradford Morrow, called "a mesmerizing storyteller who casts an irresistible spell" by Joyce Carol Oates and "one of America's major literary voices" by Publishers Weekly, comes The Forgers, a richly told literary thriller about the dark side of the rare book world. Bradford Morrow is the author of seven novels and a short story collection. He is the founding editor of Conjunctions and has contributed to many anthologies and journals. A Bard Center Fellow and professor of literature at Bard College, he lives in New York City.